With Fall setting in in New York and temperatures falling down slowly, it's time to start to think about wintery drams. Before tasting new ones I wanted to revisit these two remarkable drams from last year which I mentioned on this blog before but never posted proper tasting notes of. 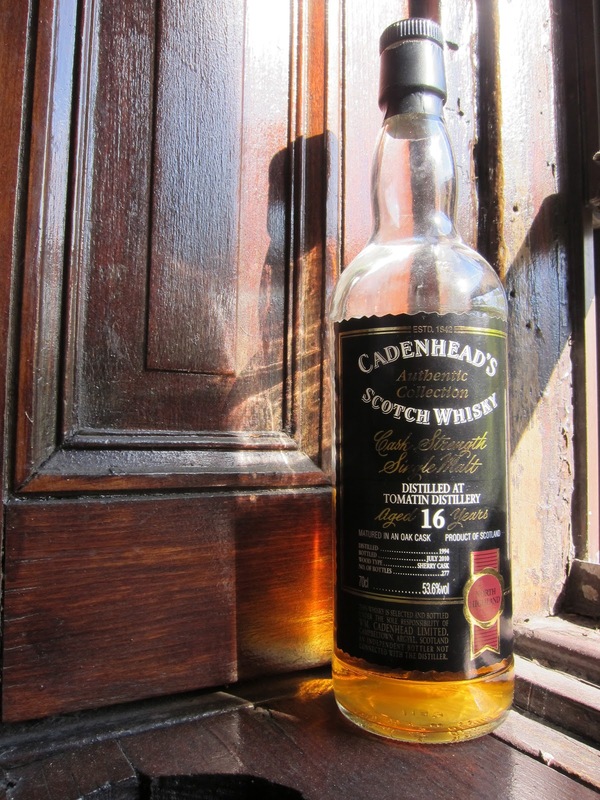 Cadenhead's Authentic Collection Tomatin 16yo (53.6%): This is a bottle I purchased in Cadenhead's shop in Edinburgh. It is distilled in 1994 aged in a sherry cask and bottled in July 2010. Only 277 bottles have been made available. Color: Orange topaz, dark amber, copper. Nose: Caramelized apples, warm apfelstrudel. Apple juice, cinnamon, dates, overripe figs and nutmeg. Struck matches, moist soil. Water addition eliminates all sulphury notes and makes it even more fruity adding berries to the mix. Palate: Sweet and chewy fruit tarts, wedding cake and marzipan. With a few drops of water you get fireplace smoke, maple syrup candies and heavy oak notes. Finish: This is a never ending finish with caramelized fruits, butterscotch and sticky toffee pudding. 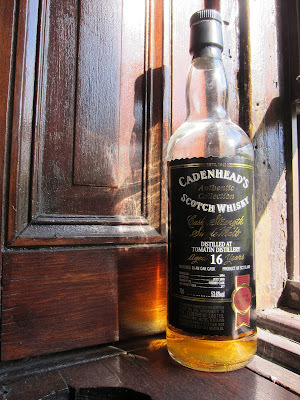 Overall: After I had a sip of this dram at Cadenhead's I knew I had something special in my hand. This is the bottle that started my Tomatin interest. Definitely one of the best Tomatin casks I ever tasted. 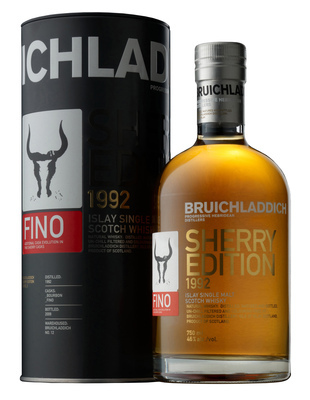 Bruichladdich Sherry Edition 1992 "Fino"(46.0%): I brought this beauty from Islay. After a long tasting at the distillery finally I chose to carry this bottle all the way back home among tens of other expressions I totally fell in love with. The whisky is from their Sherry Edition Series_2. It is distilled in 1992, aged for 15 years in bourbon casks, finished in Fino casks for an additional 2 years and finally bottled in 2009. 6000 bottles in total are released. Color: Pale bright gold. Nose: Mostly dry tropical fruits. Not aggressive and pretty dry. Red bush tea and raisin nut party mix. Palate: Palate shows all the 15 years in bourbon casks. Mouth covering beautiful malty notes with vanilla and carrot cake. Grassy and dry. Finish: Now the 2 years of Fino casks show off. Long, chewy finish with cured leather, quince jam and custard. Overall: I am a big fan of Fino finished whiskies and this one looks like a success, too. Sherry influence is definitely not overpowering but it is always there from the nose to the finish. My favorite among Bruichladdich Sherry Editions. Looks like two great selections! I find that in the fall, I start to crave the heavier sherried malts too!